Goal: To examine in a model of neuromuscular transmission the interaction between two non-depolarizing muscle relaxants. 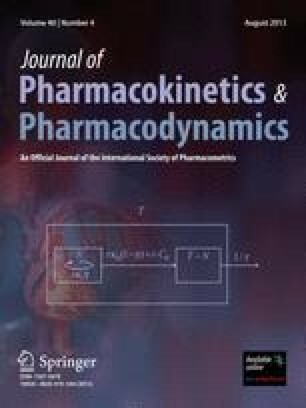 An additive or a supra-additive interaction was evaluated as a function of the affinities of acetylcholine and the muscle relaxants for the two binding sites at a single receptor. Methods: Affinity of acetylcholine for site1 was postulated to be higher than for site2. Muscle relaxants may display a similar pattern of affinities, a higher affinity for site2, or the affinities may be identical. Receptors with both sites occupied by acetylcholine are activated and, if their concentration at an end plate surpasses the critical threshold, initiate contraction of the associated muscle fiber. The number of contracting muscle fibers determines twitch strength of the whole muscle. Neuromuscular block (NMB) = 1 − twitch. NMB was simulated for muscle relaxants acting as single agents or in three types of combinations. (a) Complementary fractions of equieffective concentrations. (b) Variable combinations of equieffective concentrations producing NMB equal to NMB produced by the single muscle relaxant (isobolographic analysis), and (c) NMB-vs.-concentration relationship of single agents and of their combination in a fixed ratio. Results: Additive interaction was simulated for pairs of muscle relaxants displaying identical ratios of affinities. All other pairs produce a supra-additive interaction, more prominent, the more divergent the patterns of affinities. The slopes of NMB-vs.-concentration curves were steeper for supra-additive combinations than for single agents. Conclusion: The simulations define conditions leading to additive or supra-additive interaction and suggest an experimental design suitable to test the results.